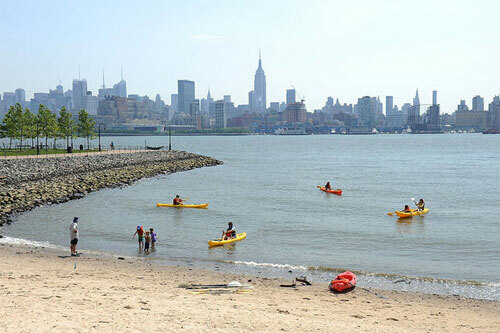 City of Water Day is an annual festival of free activities and events designed to get New Yorkers more comfortable and familiar with our extensive and beautiful waterfront. Presented by the Metropolitan Waterfront Alliance and over 700 partners (including Solar One), the Festival will be held in waterfront locations throughout the area, with most happening at Governor’s Island and Maxwell Place Park in Hoboken, as well as Pier 42 where Lower East Side Ecology Center will be running a fishing clinic (catch-and-release only). You can find more information about activities here. The Festival runs from 10am-4pm on Saturday July 12, and all activities are offered free of charge.